90" V-shaped strap that clips on deluxe Bobelock cello cases and converts them into a backpack style case. Smart Bag for Oblong Violin Case - Wine. 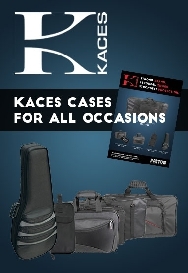 Nothing will protect your instrument from abuse from the sun, heat, or extreme cold but we have an alternative to help protect your instrument and Bobelock case. The soft generously padded SMART bags are built to cover a few of our selected hard violin and viola cases. Smart Bag for Oblong Violin Case - Blue. Nothing will protect your instrument from abuse from the sun, heat, or extreme cold but we have an alternative to help protect your instrument and Bobelock case. The soft generously padded SMART bags are built to cover a few of our selected hard violin and viola cases. Smart Bag for Oblong Violin Case - Black. Nothing will protect your instrument from abuse from the sun, heat, or extreme cold but we have an alternative to help protect your instrument and Bobelock case. The soft generously padded SMART bags are built to cover a few of our selected hard violin and viola cases. Bobelock Fibreglass ½ Moon Violin Case in Red. Features stylish fibreglass finish, two bow holders, a hygrometer, attractive velour lining and a durable black nylon canvas cover. Bobelock Fibreglass ½ Moon Violin Case in Purple. Features stylish fibreglass finish, two bow holders, a hygrometer, attractive velour lining and a durable black nylon canvas cover. Bobelock Fibreglass ½ Moon Violin Case in Pink. Features stylish fibreglass finish, two bow holders, a hygrometer, attractive velour lining and a durable black nylon canvas cover. "Bobelock" Double Bass Bow Case. Suit German model. Wallet style single bow case with rosin pocket. Wine coloured velvet interior with black weather resistant cover, removable and adjustable shoulder strap and handles. Made in the Philippines. "Bobelock" Double Bass Bow Case. Suit French model. Wallet style single bow case with rosin pocket. Wine coloured velvet interior with black weather resistant cover, removable and adjustable shoulder strap and handles. Made in the Philippines. Case cello fibreglass bobelock - yellow. Case cello fibreglass bobelock - red. Extra Large model. Case cello fibreglass bobelock - red. Case cello fibreglass bobelock - Pink. Cases cello fibreglass bobelock - ivory. Case cello fibreglass by Bobelock - green. Case cello fibreglass by Bobelock - dark blue. Case cello fibreglass by Bobelock - black. 3/4 fibreglass cello case by Bobelock - ivory. "Bobelock" Bow Case. Suitable for violin, viola and cello bows. Plush lined protective hard cases for multiple bows. Vinyl cover, nickel plated lockable latches, soft dividers, plywood body and carry handle. Also available for single bow featuring a velvet lined wallet style case (Without handles). Made in the Phillippines. Bow case - Black Fibreglass For 2 Bows. 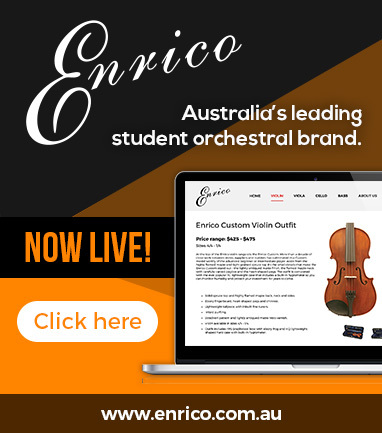 Accommodates two violin, viola, or cello bows. Lined with rich-looking red velour and choice of vinyl covered wood or fiberglass shell. Dual Viola / Violin Case - with Suspension. Case for violin and viola (adjustable up to 16.5" with suspension padding. Exterior: Black case cover with weatherguard flap and stud clips, large external accessories pocket, backpack style shoulder straps, side handle, additional end carry strap and lockable latch. Case Cover for "Bobelock" oblong case. Black case cover to suit "Bobelock" cases. Specify model of "Bobelock" case when ordering. V-strap for "Bobelock" Violin or Viola Cases. Double Violin Case - with Suspension. Case for two violins with suspension padding. Made in the Philippines by Bobelock. Exterior: Black case cover, large external accessories pocket, backpack style shoulder straps, side handle, additional end carry strap and lockable latch.